The provision of essential interpreting and translation services could be at risk following the latest government proposals on the provision of language services in the public sector. A consultation on a draft Frame Work Agreement, run by Crown Commercial Services (CCS), follows years of disruption to fair access within the justice system, after the Ministry of Justice originally awarded a contract for language services to a company that was ill equipped to deliver on it. The CCS has now concluded a lengthy consultation to develop a new Language Services agreement that will replace three existing agreements covering face-to-face interpreting, written translation, and transcription and telephone interpreting. “The CCS is attempting to apply the same level of bureaucracy it applies to largest players and ignores the fact that smaller enterprises dominate the sector. 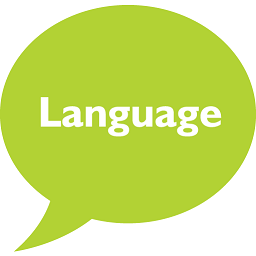 By proposing a framework that does not recognise this, CCS risks crippling its language providers and putting at risk the many people that rely on them for language support. The Association of Translation Companies (ATC) was established in 1976 by a group of leading translation companies to ensure the quality assurance and accreditation of translation and interpreting companies in Britain. It is one of the world’s oldest organisations representing the interests of translation companies and currently has 170 members. For those seeking to source translations, the ATC acts as an impartial guide to assist in sourcing those members most suited to their requirements. ATC members must carry professional indemnity insurance cover and adhere to an agreed Code of Professional Conduct, which has now become the profession’s standard. The ATC is a founding member of the European Union of Association of Translation Companies – a pan European grouping of translation company associations. An award-winning, full service translation agency, Comtec has over 30 years’ experience in providing fast, accurate and high quality translations in more than 200 languages . We’re the trusted language translation partner for many companies who call on our knowledge of international business and expert translation services to help them expand into new markets overseas. If you’re a UK-based SME considering expanding your business abroad and would like some advice on translating and localising your business materials, please get in touch on info@comtectranslations.com or call us on + 44 (0) 1926 335 681. We’re here ready and waiting to help.